Finnair has launched its Winter sale. There are special Business Class fares to Asia from the UK via Helsinki, valid until 15th January for travel between now and 31st October 2018 (dates vary by route). Compared to the Club World seat the 1-2-1 configuration is a major improvement. You can read Rob’s review of the Finnair A350 business class seat here. During the sale a return flight to Beijing in Business Class starts at £1,428 and return flights to Tokyo start at £1,999 (about £500 cheaper than during Finnair’s Summer Sale). Click here to see the prices out of London, Edinburgh and Manchester in both business and economy class. 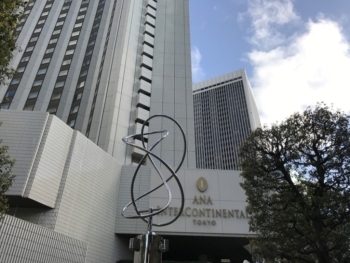 During my Tokyo trip last year I stayed at the ANA InterContinental Tokyo and didn’t have the best experience. My room was mouldy and the hotel overrun by cherry blossom tourists ….. However, after my rather negative review it is only fair to mention that InterContinental has been working on improving the Club rooms. A total of 59 Club rooms have been refurbished and the result looks promising as you can see in this Japan Today article. Hopefully the rest of the hotel will also get a bit of a revamp …. You can find out more on the hotel website here. 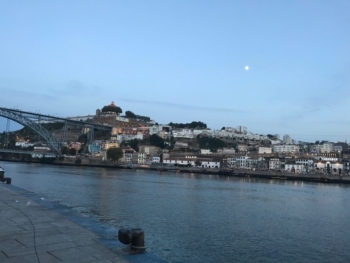 After adding twice daily weekday flights from London City to Lisbon last October, TAP has announced the launch of a six times weekly service between London City Airport and Porto’s Francisco Sá Carneiro Airport. This is well worth a look if you want to try somewhere new this year. Starting on 25th March, the Embraer E190 will depart Porto at 12:05pm and return from LCY at 2:50pm. TAP is a member of Star Alliance if you are considering earning and redemption options. I got to spend a couple of days in Porto last Summer and highly recommend the city as a weekend destination. There is an InterContinental in Porto which has very good feedback, but I stayed in a lovely Airbnb. I’m looking for either a one way or multi stop fare out to Asia (already booked Lloyds upgrade return from HK). Do these ever feature in the sales or is it generally a return fare only? I’d prefer not to redeem Avios as I’m targeting a 2-4-1 in March. I might have to reconsider. Any advice appreciated. ….and Dubai. ORY-DXB on Norwegian from 132.81 euros per person one way. Check out Scoot from Sin to Berlin – newly launched this week. Value from avios redemptions to East Asia is very poor when compared to miles-earning cash fares. Even though you are using a Lloyds voucher in conjunction with one of the few peaches I would recommend taking the £35pp hit, book a return revenue fare and put the refubded avios towards a flight in First using your 241. Take care though if you do this, I think there is something important about cancelling a flight booked with a Lloyds voucher, IIRC I think you need to make a new reservation at the same time as cancelling. If so, this might be a spanner in the works. Others can confirm or otherwise as I’ve never cancelled or changed a flight using a voucher. Just to add, you could change your voucher to an outbound flight tgen get an aviosearning ow flight back from BKK on Sri Lankan fof around £800 in J. Stopovers in Sri Lanka are allowed if you wish. OT but has anyone used BlueAir before? Looking at potentially booking a flight with them from Liverpool to Majorca but I’ve never heard of them so would be interested to hear other’s experiences? Thanks folks. Neither Norwegian or Scoot seem to appear on search results so had never crossed my mind. Singapore would be a good hub for a connection to wherever I find. The other half hasn’t visited so we could spend a couple of days. Any experience on which offer a better premium plus product between Scoot and Norwegian? Massively OT here (sorry! :(): does anyone have any tricks for earning one solitary starpoint? My partner’s SPG account is stuck on 999 starpoints and she recently closed her SPG Amex. Her Marriott account has less than the minimum transfer amount (to SPG) and I don’t really wish to send some of her MR points across to her SPG account just for a single starpoint. Off the top of my head I can’t think of a way to achieve it?! Any suggestions very welcomed! Thanks! Phone and ask for it? Uber used to work but I think that partnership has ended. You could sign up for the Marriott social media thing and do their Sunday evening NFL thing on Twitter – you’ll get a few hundred points for linking accounts then 1,000 Marriott points for getting the question right. You can send 1,000 points to SPG at 3:1, giving you 333 Starpoints. Or if you have a local Starwood hotel, they may give you points on F&B spend even if you’re not staying? A coffee or a beer would get you what you need. Stu, great idea too re coffee spend in a local SPG hotel. If I’m not actually staying at the hotel in question, though, how would I go about marrying my coffee purchase with an SPG account? Sorry if that’s a super-obvious question! Not tried it but I’d guess you just give them your card or SPG number when you pay the bill. N, many thanks for replying. Do you mean phoning to see if SPG might just give us an extra starpoint as a gesture of good will? If so, great idea. do you have an star points? if so just move some of yours over? alternatively do the marriott twitter (i think its still going) on sunday which will earn you 1000 marriott points then move that over and then back? You can only move Starpoints in units of 1,000 so that still leaves the 999 stranded. From memory, you can transfer Amex MR points in multiples of 400 at 2:1 so that would only leave 199 SPG points stranded, if that’s a viable option. Why don’t you leave the starpoints in there and get the spg card again in 6 months! Scoot used to be fine until last August when it was taken over by the awful Tiger Airways. Now, you’d have no idea what sort of aircraft will turn up if any. And in our experience Scoot[Tiger] will happily re-sell your biz class seats to someone else if they can make more money that way, and you’ll find yourself downgraded with no options. Go with Norwegian and pay with a credit card in case they go belly-up. OT: Paying Tax before 13th – my tax bill is a bit larger than expected (drat) and will have to pay in 2 (heftyish) chunks via Creation – anyone got away with 2 card payments for one bill, I presume this would be “reasonable”? I paid in 10k chunks last year as that was my card limit and it worked fine. Need to leave enough time for the payments to process to avoid any issues with putting your credit card in credit. Normally this would be fine but you might not have enough time. “HMRC limits the number of times you can use a credit or debit card within a certain time to pay your tax” – so I would do your first payment ASAP, then make a payment to Creation and then hope HMRC allow the second payment on/before the 13th. If no you’ll need a contingency to pay via another method (debit card?) before the 31st (assuming Income Tax). Thanks guys – I’ll pay the first chunk today and then pay creation. If I have problems with Creation and the second chunk I’ll whack it through on the Virgin White – better than nothing. I’ve goy my VAT to do as well! My fault leaving it co late. You should be fine using the same card across multiple tax “accounts” i.e. pay for self assessment, Corp Tax and VAT all using the same card within a short period (subject to available credit). The HMRC “reasonable” restriction will be within the same tax account i.e. if you have hit their unpublished barrier using one card, using a different card won’t help. I hit the limit last year when using the £25 prepaid Mastercards – could use 3 at a time and then nothing for another 7-8 days, hence why recommending this first transaction ASAP. Thanks for that. Info noted – I’ve made a payment on the card today and and also paid the sum straight to creation so hopefully I’ll free up enough credit so I can get the second part through before 13th. Contingency will be paying the rest by bank transfer but I’ve got my VAT to get through too, so may well have to stick that on the other visa anyway because of credit limit etc. Just left it all too last minute! Many thanks. OT: Sorry again. Making an EU261 claim as BA flight on Wednesday was cancelled – anyone used the tool on MSE via Resolver? Any suggestions as to best way to actually make claim as haven’t had to do it before personally? Yes, and got the full amount paid into my bank account within two weeks of making the claim! Would definitely recommend using it. Leo, I got compensation reasonably easily using the BA web-site in November, Also first time claim. In our case for 2 x 600 euros for a long-haul technical delay. then searched for EU compensation on BA.com. They don’t make it easy to find but their claim form is there. I used some of the ideas from CAA in writing my “letter”, and said I’d be grateful for a reply within 7 days. Got a very polite reply after 6 days via e-mail saying a check was on it’s way and received it just a few days later. Thanks Both – I’ve gone with the BA website which I agree was slightly “buried”. If no joy I’m happy to go to the Small Claims court lol – I’ve more experience there! IHG – just noting that I did in fact stay a Spire after buying AMB but only having 20 nights in 2017, so it worked as a pseudo-renewal. Has anyone received the 10k IHG points for taking out ambassador? Harry, I used it in September for our new born. It said it could take up to 3 weeks and we were flying in 19 days so left it a bit tight but the passport arrived within 3 days – was v.impressed!